I always like to start the new year by making mention of all our recipes -- for new readers and old friends alike! Cooking is probably 75 percent of the focus here on the blog. In 2012, we gave you a grand 79 recipes in all (if you'd like to see my Top 12 favorites, be sure to check out that recap). This year? Well, we outdid ourselves. 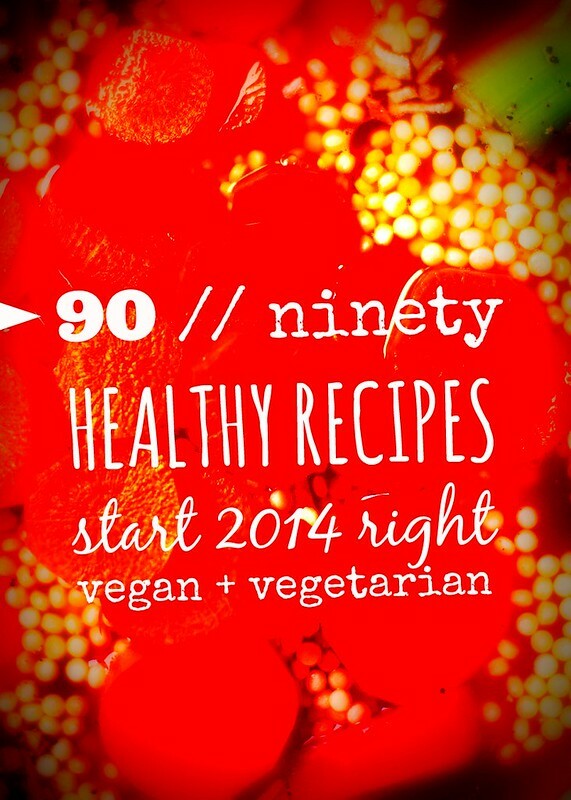 Here are all 90 recipes we posted in 2013! SWEET + SAVORY BREADS, ETC. Looks like we munched on homemade waffles, tomato sauces, pesto, and garlic rolls above all else. This year I'd like to do more with soups and bread baking. My sourdough starter ate itself early last year and I haven't made a fresh one since -- so that's high on the list of priorities. We hope you enjoyed our year of food! We'll be incorporating these recipes into the larger recipe archive. And if you'd rather browse via photo, check out our Pinterest board, which has most everything from the past year. Now off to bake bread with leftover juicing pulp!